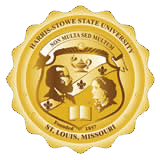 The Harris-Stowe State University Faculty Senate and University Assembly are part of the shared governance environment at Harris-Stowe and we are pleased to announce that the Faculty Senate is now in its third year of operation. HSSU’s nine senators represent the College of Education, College of Arts and Sciences and the Anheuser-Busch School of Business. Working for the betterment of governance for faculty, professional staff and students, the senate is committed to bringing results-oriented outcomes through collaborating with the Board of Regents, President D. Warmack and the administration. This website is a testament to the work of the senate and I hope that the site’s features and links provide transparency regarding our agenda, meetings, resolutions, and involvement with Missouri’s shared governance system, such as the Missouri Association of Faculty Senates and member universities. We have briefly mentioned some of the key initiatives and activities envisioned for the next 12 months, and I encourage you to check this site often as we will provide updated messages, documents, and links in an ongoing effort to provide both internal and external stakeholders with information about our senate activities and progress. Thank you, again, for visiting the HSSU Faculty Senate website and do not hesitate to contact me or any of the senators with questions, ideas, and suggestions. We are here to help move the needle on supporting and advancing our institution’s mission and purpose by complementing the shared governance environment in the best interests of everyone.